“Meaning is internal and individual”, Donald K. Smith said in his book Creating Understanding: A Handbook for Christian Communication Across Cultural Landscapes. We form meanings from our mental models. What we are exposed to constantly forms our mental models, as Donald Smith says. These can be experiences, signals, environment, present needs and the referent- what you relate a signal, word, feeling to. Why am I going back to communication class? Today a friend shared a photo of a supermarket shelf. It had condoms on top and champagne below. 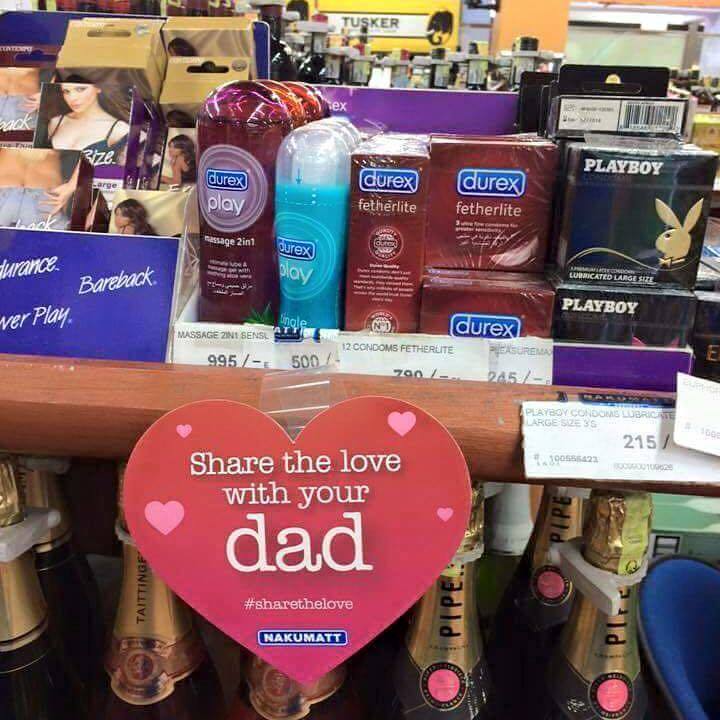 At the shelf, there was a sticker saying “Share the love with your dad”. Looking at the photo, I first thought, “OK! That is weird”. This is why even people arranging shelves at supermarkets ought to be sensitive about the communication they are sending. They most likely did it not intending to send the wrong message, but the debates that the picture created online are a reflection of the different mental models that people had. This has nothing to do with religion, just strategic communication. I would not depute the fact that the shelves have a strategic arrangement. Alcohol and condoms have a target clientele who are over 18. I think the sticker was misplaced. Who buys their father condoms? That’s one message that could have been created. Another message would have been the one I think was intended, “Buy your dad a bottle of champagne”. It must have been a valentines day campaign. Well, you can also say that To the pure, all things are pure as Titus 1:15, but then again, I am not referring to religion here. Just stating curious thought. Separator image Posted in Dada Says and tagged with Communication, Meaning, Message. Enyewe that is just weird. I looked at the photo totally confused until I read your post and saw the wine bottles so maybe your second interpretation makes more sense.